For months last year, D.C. politicians dickered over the validity of the president’s U.S. Supreme Court nomination. Now, Vermont has its own nomination fight. As in Washington, this spat pits Democrats against Republicans. Gov. 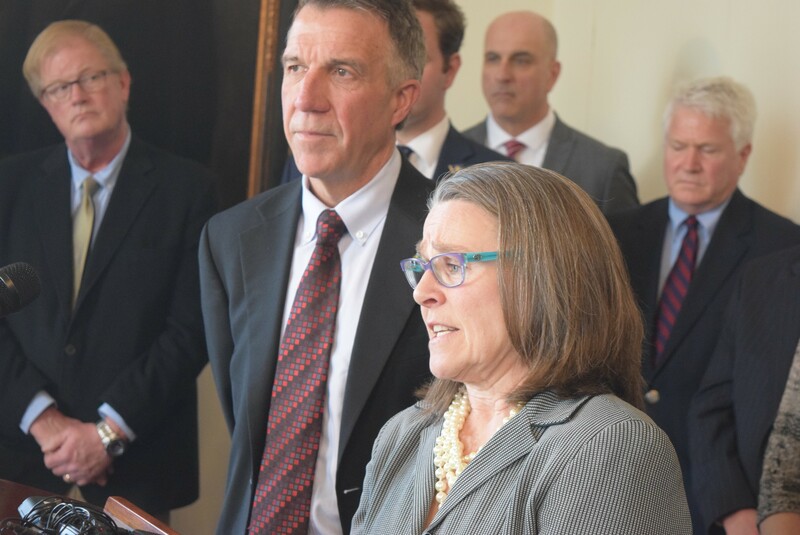 Phil Scott, a Republican who took office in January, is questioning whether his predecessor, Peter Shumlin, properly nominated Robin Lunge for her position on the Green Mountain Care Board. “We haven’t been able to find any of the paperwork,” Scott said. Apparently, official documents detailing her appointment — announced in November — never went from the governor’s office to the Senate, or to the Secretary of State’s Office, as they normally would. That raises questions about whether Lunge — who has served on the board for more than four months — can legitimately continue to work on the $95,000-a-year job, Scott said. The five-member board oversees health care spending in Vermont; one of its powers is regulating hospital budgets. The Democratic Senate, which votes on nominees, plans to push ahead with Lunge’s confirmation, possibly this week, said Senate Health and Welfare Committee Chair Claire Ayer (D-Addison). “We’re going to vote for her,” Ayer said. Nothing in state law specifies exactly how news of an appointment must be transmitted from a governor to the Senate, said Senate President Pro Tempore Tim Ashe (D/P-Chittenden). Senators received the governor’s press release announcing Lunge’s appointment in November, he noted. There is also other written evidence, including a code of ethics Lunge signed November 21. Just in case, though, senators sought backup confirmation of the appointment from the source: Shumlin. 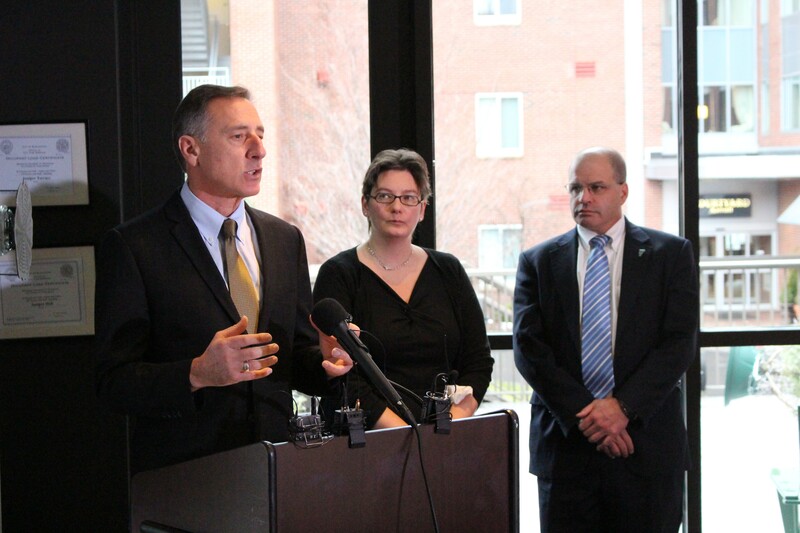 Scott’s spokeswoman, Rebecca Kelley, said Tuesday afternoon that Shumlin’s after-the-fact affadavit wouldn’t cut it in Scott’s eyes. “We would not view a retroactive letter as part of the process. It sets a precedent,” she said. Ayer said she asked Shumlin for the affidavit, but considers the lack of paperwork about Lunge’s appointment irrelevant. Ayer, after all, served on the Green Mountain Care Board nominating committee, which put forth Lunge’s name to the former governor. She also thinks Lunge is highly qualified. “She has extensive knowledge of health care law. She understands who’s insured, who’s not insured, what it costs. She sees the whole picture,” Ayer said. Lunge, who joined the Shumlin administration in 2011 and served until her November appointment to the Green Mountain Care Board, was one of the chief architects of the former governor’s aborted effort to come up with a universal, government-financed health care system. Before joining the Shumlin administration, Lunge was a health care specialist for the legislative counsel that serves the state legislature. Last Wednesday, Scott’s legal counsel Jaye Pershing Johnson sent the Green Mountain Care Board a letter requesting documentation about Lunge’s appointment and arguing that her status could leave the board’s rulings at risk of being challenged. Johnson indicated that the best course of action would be to start the appointment process over. Scott said Tuesday morning that he was unwilling to resolve the matter by simply reappointing Lunge himself. But Vermont is also not Washington, where Republicans last year refused to vote on former president Barack Obama’s nomination of Merrick Garland to the U.S. Supreme Court. Scott will, after all, have a chance to make his own imprint on the Green Mountain Care Board: It currently has two other vacancies, including board chair.